Excellent. Can't wait for the PC version. Why on earth his real hair in the pre-release screenshots and not in the actual game I don't know. Hopefully the update will come soon. Not necessarily. Maybe it was bugged/glitched. We didn't even know we were going to be playing as John. Maybe playing as John was a last minute thing and Rockstars intent at first was to allow us to play as Arthur again before the events of the Blackwater Massacre inwhich Arhur would have access to New Austin. 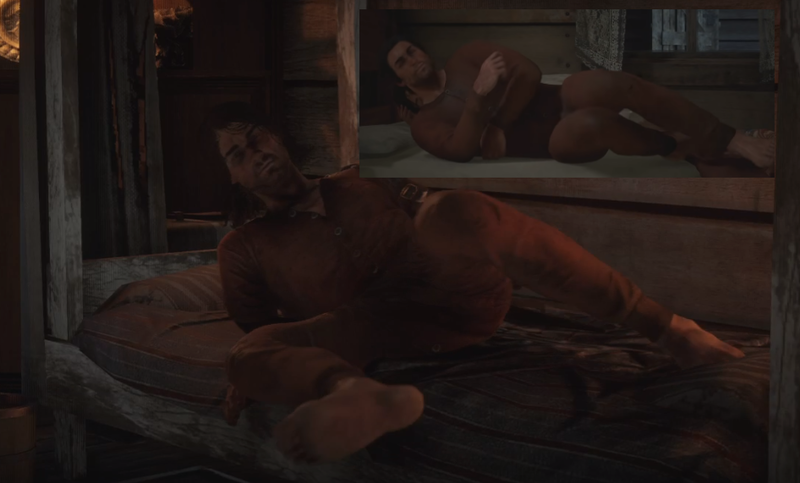 Dan Houser mentioned in an interview that they removed the love story about Arthur and Mary Linton. So maybe that was changed from being Arthur and Mary's love story (before the Blackwater Massacre) to John and Abigail's (at the end of the epilogue). 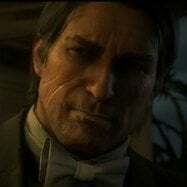 You see that would make a lot of sense if John was not planned to be playable, and Rockstar decided to make him playable at the last minute. 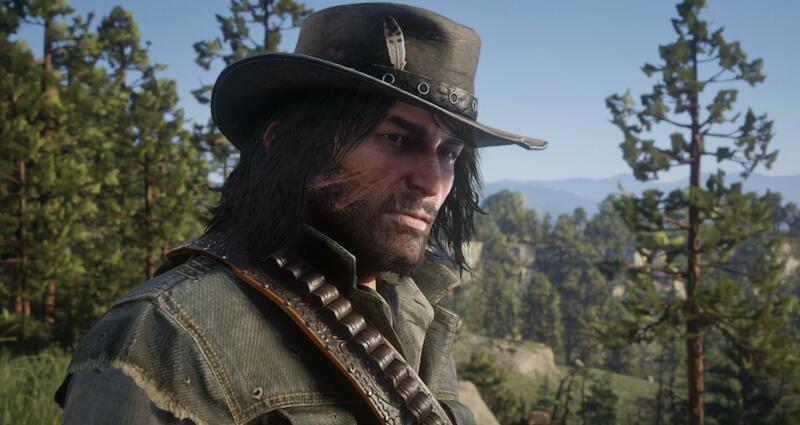 Sorry to burst your bubble though, but we know that Rockstar making John a playable character at the last minute is not how things went down. 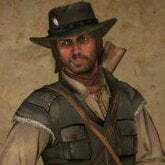 It was always their plan to have John playable, at least according to this reddit leak: https://www.reddit.com/r/reddeadredemption/comments/734wy8/awhile_ago_user_ureddeadinsider_accurately/ Everything that the poster said came true(for the most part) and this was posted back in 2017, and this isn't even the original post. The redditor that posted this claimed he had found it a while ago, and when I messaged him about the leak, he said he found it around three years ago(he said that to me in 2018, so that puts him finding the original post around 2015). Considering all the cutscenes and side content in the epilogue, it's very unlikely(at least to me it seems unlikely), that they threw all that together in a year or two. Jesus, you trying to make me have a heart attack? Great job man! I don't understand why did rockstar add new austin when its basically empty and has nothing to do in it? I meant last minute as in whether they were going have Arthur playable AFTER the epilogue with John. So we could have had the option. 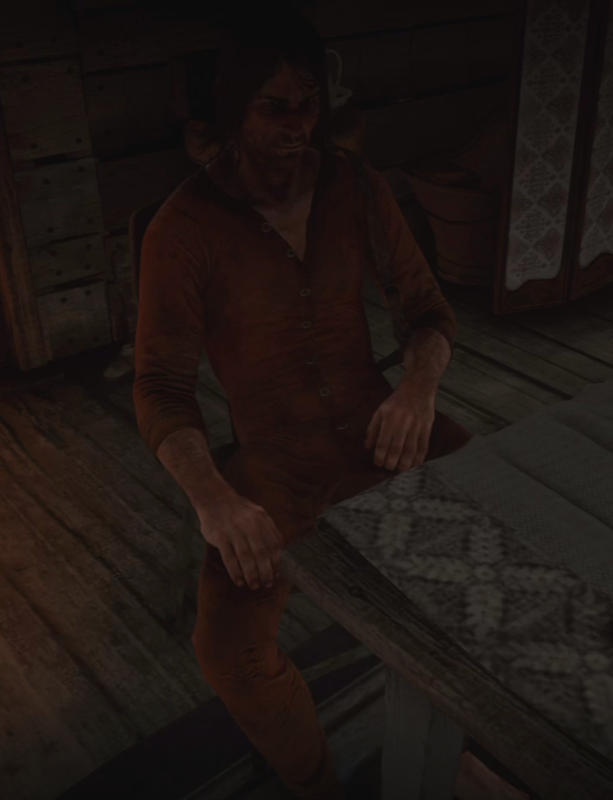 According to secret cutscenes, Arthur was supposed to have access to New Austin. I ment last minute as in whether they were going have Arthur playable AFTER the epilogue with John. So we could have had the option. It's certainly possible, though maybe they just had it to where you could visit New Austin before the epilogue, or they just went to those areas as Arthur just for the trailers. And it's very underdeveloped. It feels more like 1899 in New Austin than 1907. Most of the places, buildings etc should already be there by that year. It's a bit immersion breaking. Maybe thats a hint for rdr remake? Wishful thinking, I guess it’s homage to fans...I have to agree of its existence in 1907 feels like 1899. I just wish they had us visit there as Arthur at some point, he’s even got dialogue relating to those of who he’s speaking to in Armadillo! That's because New Austin uses the 1899 map. There are no graves marked later than 1898 down there. RDR remake in RDR2 would be excellent but I'd prefer a supernatural themed DLC. Nope. Arthur was meant to go to New Austin, sure. BUT it wasn't after the Epilogue. It was somewhere in Chapter 4 I think. It wasn't Arthur and Mary's love story. It was a love story with an entirely different character. Plus the hair works just fine on NPCS and the different lengths are scattered around the world. BUT your kind of right. When you swap to the classic scalp in a barber shop you see John's head hop for a second. This also happens with both Arthur and John sometimes when choosing the bald haircut. That's the only reason I can think of why Rockstar cut it but it's a pretty lazy one. If it's true it was glitched, I feel like they could of easily fixed it any issue with his hair. Like you said, they were just being lazy. that what now moment was a moment i became a bad guy...robbing banks and folk, dishonorable jobs, siding with bandits, bounty hunting, being overall absolute outlaw. 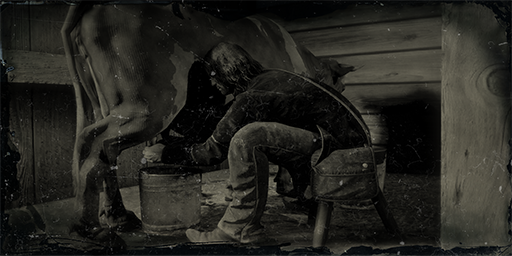 That's what I miss in rdr 2 because the things you do after completing it just doesn't give enough satisfaction. I just replayed the game in 1.00 and idk...it just doesn't entertain me like the first one did...btw rdr 1 also had a lot of really cool glitches - robbing bank in chuparosa after glitching in and blackwater too. Also some interiors from missions, I managed to get into the house in agave viejo, macfarlanes ranch and so on. I also miss the badass horse you get when you were dishonorable in rdr 1. 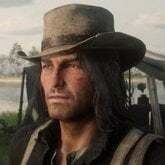 John's original hair and outfit in the epilogue mission "Jim Milton Rides, Again?" before it was changed to Arthur Marston. I don't believe his full pajama outfit is worn at all during Chapters 1-6. Oh and Josh while I have you here, can you explain if the scalp can be added to the current worn outfit via save wizard advanced mode? They should've focused on doing something that actually matters (John's hair), not a part of map that has nothing to do in it. They pretty much wasted man hours. But look! Red dead f*cking online has a lot of stranger missions and more in NA already, so why not play it and buy some cheap gold bars at the store for a low prize of 10 dollars so you can get a f*cking sombrero and then ride into the sunset with your chromozome deficient mexican and grind for hours to get a jacket...what a f*cking joke. What black magic f*ckery is this?